Eating disorders such as bulimia nervosa, anorexia nervosa, binge eating are life-threatening illnesses. These conditions can become worse, or even be fatal, if an eating disorder is ignored and left untreated for a long time. If you or a loved one has an eating disorder of any sort, we can help you. We have helped hundreds of clients overcome their eating disorder and achieve a permanent healthy lifestyle. Our eating disorder rehab treatment also includes relapse prevention further strengthened with 1yr free aftercare support. Call Primrose Lodge today on 0203 553 9263 to speak to one of our specialists about your eating disorder. At Primrose Lodge, we are an experienced team of specialists with the resources and facilities to help you overcome your eating disorder safely and effectively. 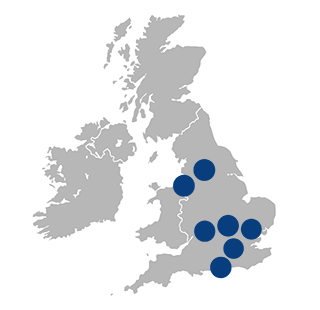 Our comfortable and welcoming clinic is easily accessible from all parts of the UK. We care for eating disorder patients by first carefully accessing the condition, after which we can tailor the most appropriate course of treatment to suit the patient’s needs. Eating disorders can be described as illnesses that cause severe disturbances in a person’s eating behaviours, thoughts and emotions. Most eating disorders cause patients to become preoccupied with their weight and food. There are generally three acknowledged eating disorders, namely bulimia nervosa, anorexia nervosa, and binge eating disorder. Individuals with bulimia nervosa and anorexia nervosa are typically perfectionists who suffer from low self-esteem and become critical if they are perceived as fat. These individuals will “feel fat” and believe they are overweight even if they are not. This mindset can lead to life-threatening malnutrition or starvation as their fear of weight gain becomes all-pervasive. Another characteristic of people with eating disorders is that they typically deny they have a problem, especially in the early stages of the illness. Various factors can contribute to the development of an eating disorder. The cause may be biological in nature, or even environmental or psychological, or be a combination of all three. Environmental factors, such as the fashion industry and media’s portrayal of how being thin is beautiful, can also negatively impact an individual’s perception of food. Treatment for Eating Disorders in our clinic will take into consideration all pertinent factors and help you change how you perceive your body and food. If you or a loved one are exhibiting two or more of the above symptoms, please call us immediately for professional assistance. The best approach to treating an eating disorder will depend on the unique needs of each patient and a variety of other factors. To make sure you get the best possible treatment, you will first undergo our evaluation process. The results of the evaluation will be used to personalise treatment to best suit your needs. If you have a loved one between the ages of 16 and 18 with an eating disorder, our sister centre in Banbury Lodge in Oxfordshire can be of assistance. Treating an eating disorder such as bulimia or anorexia isn’t the same for adults and teenagers, because of the developmental problems that may occur in younger individuals. Our sister centre in Banbury has the necessary resources and expertise to help your teenager retake control of his/her life, recover from an eating disorder, and stay healthy long term. Contact us today so we can help arrange the admission of your loved one. After you are discharged from our facility, you can take advantage of our post-treatment support through aftercare services. This will help you stay focused on living a healthy lifestyle and preventing relapse. Our follow-up care and continued support guarantees that the positive effects of your treatment are not short lived. Our support system will also help you overcome any stressors or triggers that might cause you to relapse into negative eating behaviours again. If you or a loved one suffer from an eating disorder, we can help. Call our confidential helpline today by dialling 0203 553 9263 to get started on the safe and effective path to recovery.